Congratulations to our Client Sydney Paige for their feature on KTLA 5 News! 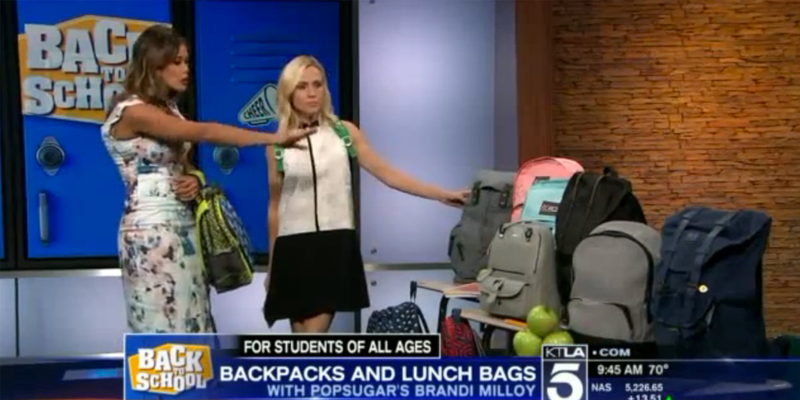 Popsugar’s Lifestyle Expert Brandi Milloy shared this season’s top backpacks including our Client Sydney Paige. The Guidi laptop rucksack from Sydney Paige oozes class with its relaxed style, upscale metal zippers and chic leather details. Whether you’re a student, world traveler, hip professional or stylish mom on the go, this is the bag for you! For every backpack you purchase, Sydney Paige will donate one filled with supplies to a child in need (Choose from over 30 nonprofit organizations). Check them out at sydneypaigeinc.com!